The highest performance thanks to the most advanced technology on both freight and mainline passenger railway systems: Vossloh’s High Performance Milling is the groundbreaking solution for repairing damaged rails and significantly prolonging their service life. HPM is effective at removing severe defects in the cross-sectional and longitudinal profiles of the rail head as well as deformations and damage caused by material fatigue. The rail receives an exact reprofiling and finish in only a single pass, and the innovative face-milling technology for the finishing produces neither dust nor sparks. 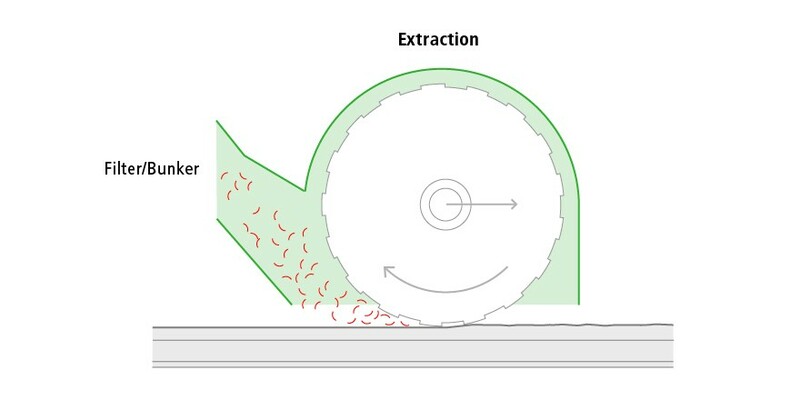 Combined with its efficient extraction system, HPM milling is practically emission-free. 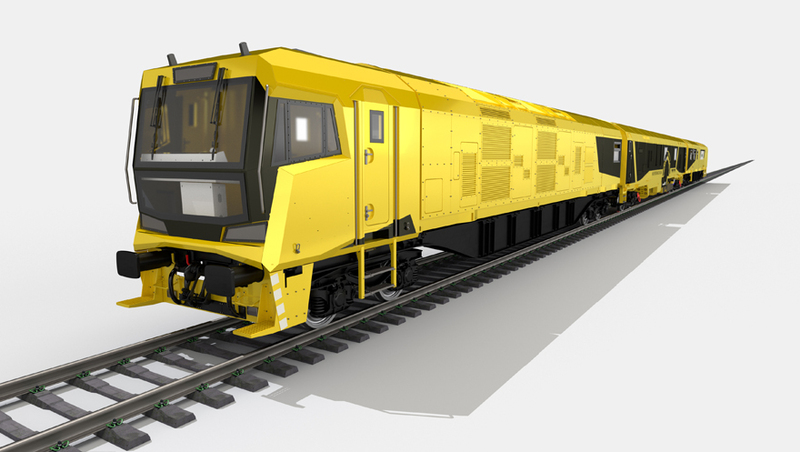 High Performance Milling uses Vossloh’s newly developed milling train, which is equipped with groundbreaking technology that is quicker, more precise and better for the environment than conventional milling systems. A single pass performs the following machining sequence: peripheral milling and face milling (finishing) with simultaneous verification of the rail’s machined condition. At 1,400 mm in diameter, the milling wheel is more than twice the size of a standard milling wheel, which ensures less residual ripple after machining, a very high-quality surface, faster operating speeds and a higher material removal rate. All the metal removed is extracted into a bunker, and the encapsulation of the milling units ensures that nothing is left behind. The fully integrated finishing employs a new kind of face-milling technology that renders a final grind unnecessary and ensures that the procedure is free of grinding dust or sparks. At the customer’s request, on-board measuring equipment can be integrated in advance to check the quality and safety of the reprofiled rails immediately after machining. Vossloh’s HPM train operates non-stop at speeds of up to 2 km/h, removing 3mm on the running surface and up to 9 mm on the running edge. A single pass rectifies even severe rail defects, and the rail is accurately reprofiled to a condition that is virtually like new. With its service life thus considerably prolonged, replacing the rail becomes unnecessary. HPM’s on-board tool calibration system ensures a sustained surface quality. Measuring equipment for eddy current testing and for checking the rail profile’s longitudinal undulation and cross-section can also be integrated into the train at the customer’s request. High Performance Milling doesn’t use water and produces neither sparks nor dust. The metal chips removed are extracted during the milling process and deposited in chip bunkers for later disposal. These bunkers have capacities of several tons, which is sufficient for several work shifts. 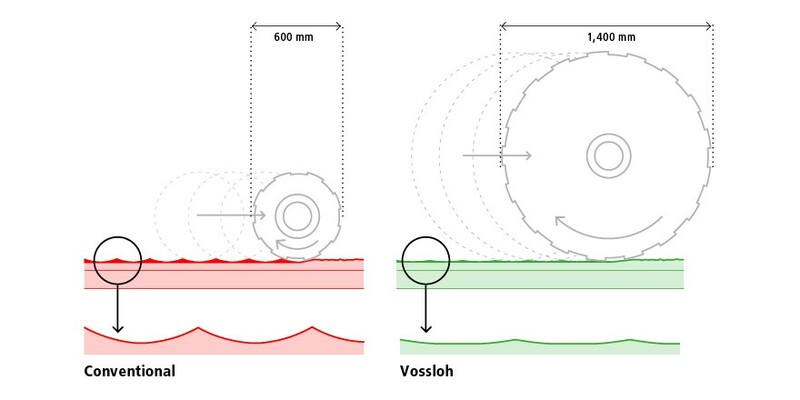 Not only does this render unnecessary the cleaning of tunnel walls after a milling run, for example, it also makes Vossloh’s HPM the safest and most environmentally-friendly rail milling machine in the world. The fact that it can be both individually configured and adapted for use on all of the common international rail profiles makes the High Performance Milling Train incredibly flexible. It can be used on any light rail, heavy haulage or high-speed line and its loading gauge has been adapted to the English W6a gauge, making the train compact enough for use on the British rail network. A further advantage: The milling wheel is made up of individual block elements that can be replaced quickly and, if need be, separately. This makes it unnecessary to completely disassemble the wheel during the tool-changing procedure, which in turn ensures shorter immobilization times and longer operation.